PlayStation 4 remasters are like a box of chocolates – you never know what you will get. Sometimes, it is a chance to play a fantastic classic title – but sometimes you will have to suffer because of huge response delays. All video game developers want to get as much money as possible by relying on the love for retro games. Many of the smaller developers keep announcing new titles that are inspired by the classic 8-bit and 16-bit games with a mindset that players would rather play a 100th clone of Metroid or Mario rather than playing an actual new entry of any of these series. The bigger developers dust off their portfolio by making remakes and remasters without giving a thought whether these new and improved versions are even necessary at all. The console producers play their backwards compatibility card – Microsoft does it in a classic way while Sony wants us to pay again for the same game but adjusted to the current standards. However, this "adjusting" doesn't always work – this results in a situation where many of the classic games from PSP and PS2 are literally unplayable on PlayStation 4. The problem that can destroy any fun that can come from playing numerous classics is the so-called input lag. To put things simple – it is a delay between the moment when a button is pushed and the game's reaction. Input lag is present in almost every game and it is caused by a TV's delay, how much time passes when a controller sends a signal to a console, an Internet lag (only when you are playing online) and a time required for a console to create another animation frame. 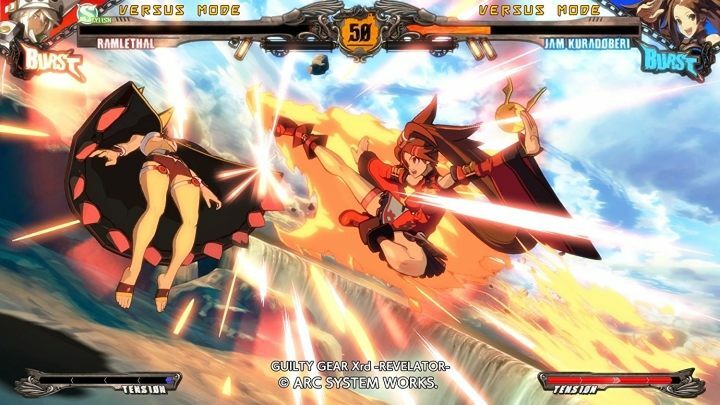 In the best fighting games, such as Guilty Gear Xrd Revelator, the input lag is only 70 ms. The average input lag of the current games, without counting the input lag caused by a TV itself, is 133 ms (a little bit more than 1/10 of a second). This value can even be two times smaller in some games, especially in those where input lag matters, e.g. fighting games, shooters or rhythm games. When it goes above 200 ms many players can feel discomfort and a characteristic sluggishness of controls. Now, imagine a rhythm game or an ultra-dynamic 2d shooter where input lag can reach even half a second. I had this exact experience when I first played Metal Slug Anthology on PlayStation 4. It is a set of seven old-school 2D shooters. I have a weak spot for this series but its publisher sells each of the games separately for quite a substantial amount of money. So, in theory, buying the entire anthology that has all the games is the best way to relive the childhood memories. MSA on PlayStation 4 wasn't my first encounter with this title. Previously, I played a rather pricey PlayStation Portable version which, excluding a few frame rate problems, worked really well. However, that version didn't have a local co-op (because of the way the console's specifications) which made this game less fun. Because of that I was glad to buy it again on PS4 – this turned out to be a big mistake. In Metal Slug series your life or death is decided by fractions of a second. 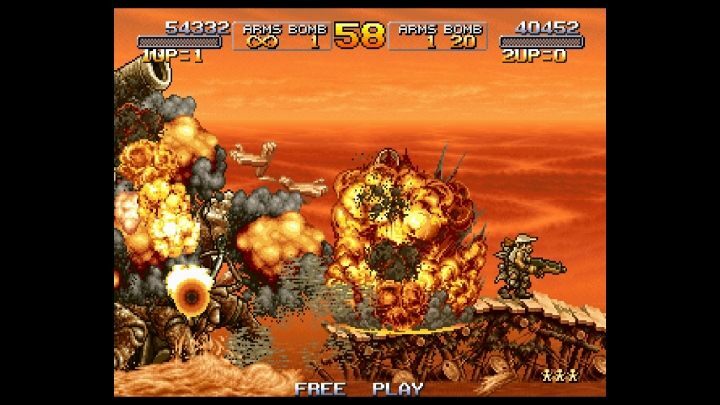 There is one thing you need to know about the games from Metal Slug series – they are EXTREMALLY difficult. Although a single game can be completed in about an hour, these games were made for arcades which means that the default three lives that players get for one "credit" can last about a few minutes. The console versions give you an unlimited amount of virtual coins but the point of the game is to complete it with the best score. Experts, who can complete the game on a single coin should be remembered forever. As for the regular players, using less than 10 retries is something that they can be proud of. This high difficulty level was achieved thanks to a huge number of enemies who keep shooting at a player or attacking them in other ways. You leave hundreds of corpses but a moment of distraction combined with one bullet or one wrong jump can cost you a life. 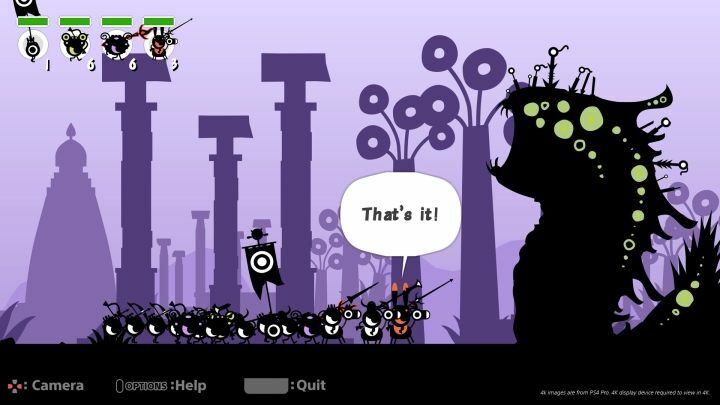 Getting high scores requires a perfect knowledge of the level and its enemies as well as precise moves and quick reactions. Meanwhile, the PlayStation 4 version is based on the re-edition released on PlayStation 2. This version was already criticized for input lags but the PS4 version is even worse. Your character can have a half a second delay before they perform a desired action – this isn't great for a game where life and death of your character is sometimes dependent on a fraction of a second. This makes the already high difficulty level even more challenging and the fun that should come from the game turns into frustration. As for the monitors, the input lag is about 9-10 ms which is completely acceptable. When it comes to TVs, the difference is much bigger and some models can even have 100 ms of input lag. An acceptable value is between 20 to 50 ms – a TV that goes above that can make your time with a game less comfortable. An input lag can also be reduced by switching your TV into "Game" mode. What is interesting is that this problem varies between the games from this set. Input lag is the worst in the first, in theory the easiest, game from the series. That problem turns it into the hardest one. Input lag can also be felt a lot (even TOO much) in the other games but it is not as problematic as in the first title. However, Metal Slug 6, the final game in this set, works great. It proves that this problem can be solved. Metal Slug Anthology was released by SNK and it is them who should be blamed for releasing a set of seven games where only one works as it should. Sony's only fault here is that they didn't provide an acceptable quality control. However, this can't be said about the next games – Sony had much more to say in their cases but they still have the same problem. Patapon Remastered and Parappa the Rapper Remastered are two classic re-editions from the PSP library (Parappa can be even treated as a remaster of a remaster because the original game was released on the first PlayStation) that were released in 2017 on PlayStation 4 by Sony. Both games are about pressing buttons and following a rhythm of a song and – surprise – both remasters have turned out to be completely unplayable for many players. Besides the input lag, the games also had delays in sound which means that players couldn't follow the songs properly. I couldn't wait any longer for the Patapon remaster but the first few reviews crushed my spirit. Here, the main fault lies in the remasters' budget because the solution to that problem is known for about a decade. Rock Band and Guitar Hero series, once great console games, both had an option that allowed players to resynchronize their hardware. A few minutes of configurations were enough to modify a gameplay in a such way that it would take into consideration and eliminate any problems caused by a lag that was caused by controllers, TV or speakers. This option wasn't necessary for the PSP versions of the game because the games were created only for one console. The PS4 versions have a better resolution, trophies or a DualShock 4 support but they lack any options that would make the games run as they should on certain TVs or work with certain speakers. Meanwhile, Sony not only ignored the whole problem but they also… announced another remaster of Patapon. I wonder if that game will also be as unplayable as the first one. Sony has an issue but instead of solving it, the Japanese corporation keeps acting as if there are no problems whatsoever. The games mentioned above aren't the only ones that have these issues. 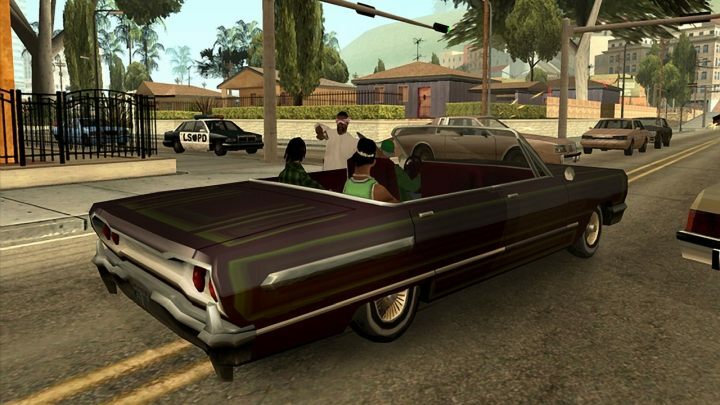 The Internet is full of complaints about a high input lags that appear in many PS2 remakes available on PS4 – one of the games that is mentioned frequently is Grand Theft Auto: San Andreas… and I understand that Metal Slug or Patapon can go under the radar because of the series’ popularity, but in case of GTA it’s hard to call it a game that will only get a handful of people interested. Even Rockstar's blockbuster couldn't avoid this problem. The input lag doesn't affect everyone – a lot depends on a TV and a player because not everyone can feel the difference. Input lag can, depending on a genre, be less harmful than in the previously mentioned games where milliseconds make a huge difference. However, there are many players who can feel the difference and it completely kills off any fun that can come from playing various classic titles on the newest Sony console – I am one of these people. Instead of announcing new broken remasters, the developers and the publishers should look closer into this problem and at least try to solve it. Especially when, unlike the competition where you can simply put a disc with an old game and play it, they ask you to pay quite a lot of money for the same game again.